We will be having our Monthly General Workshop for November this coming Friday! 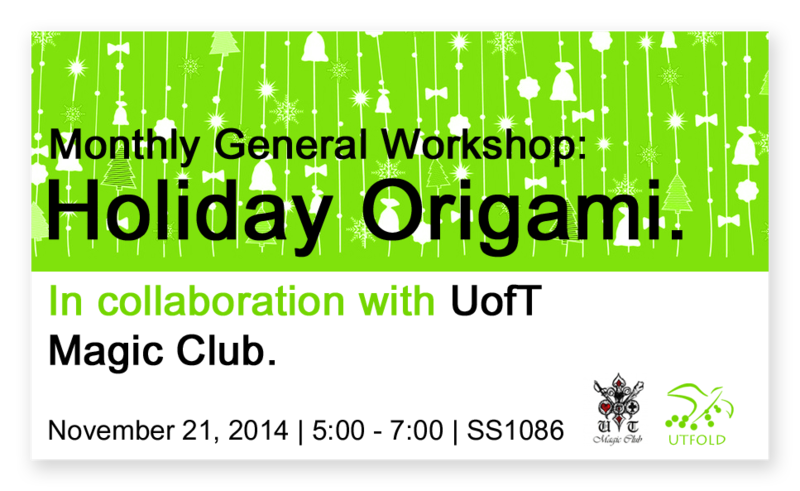 This will a very special workshop in that we are collaborating with the UofT Magic Club. We will be folding a variety of holiday themed models such as a Christmas trees, Santa Clause, and much more! Hope to see you there!